Everyone knows Havaianas, which are also known as the most comfortable shoes for holidays and the summer season in general. But then again, yes, they're comfortable, but aren't they unfashionable and only worn in public by kids, men with hairy feet and Australians? Controversy aside, if any brand can pull it off, it's Brazilian brand Havaianas, basically inventor pf the flip-flop, with the help of fashion blogger Sincerely Jules last summer (2014), when she went to Coachella and only wore Havaianas while living the good life at the world's trendiest festival, and the looks she styled with a bunch of pretty flip-flops were so gorgeous, that I decided that Havaianas are cool, period. 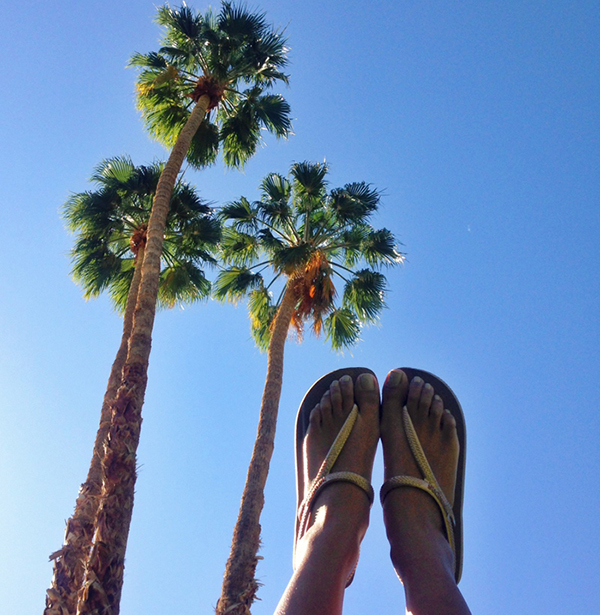 So when I received the incredibly cute pair of flip flops seen on top and in the bottom of this post (thank you again Making Waves, I love them!) I immediately put them on, and they made that rainy summer day so much better! Bright pink with a colourful palmtree print, what more do you want in a pair of summer shoes? They're so comfy, and the quality is amazing, and wearing other shoes than these cuties has been hard ever since receiving them. Do you wear Havaianas, and how do you combine them? What's your ultimate summer shoe? And what colour would you go for in a pair of flip-flops? Let me know in the comments! There's free shipping on all products until 31 August, so hurry hurry! Haviannas are so cute AND comfy! I love these slippers - so comfy! Wow deze zijn echt super leuk! 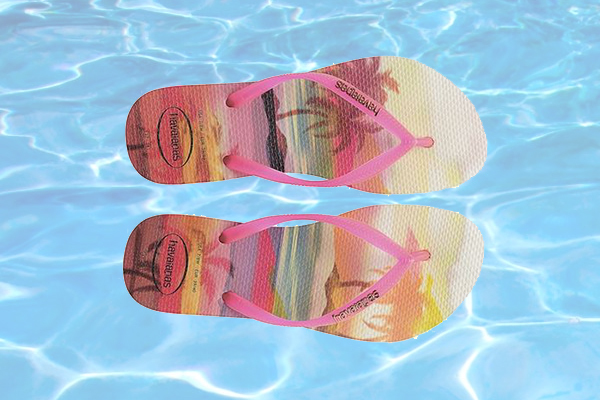 Havaianas zijn zonder overdrijven de enige flip flops die ik kan dragen die geen pijn doen na uren wandelen! Ik heb er heel wat aangeschaft toen ik in Brazilië was, ze zijn er daar (uiteraard) echt spotgoedkoop en je hebt er ZO VEEL keuze. Grote fan hier haha! I LOVE those sandal-like flip flops. I'm not big on flip flops but I feel like I'd wear those everywhere. Great post!! Wat een leukerds! Die print is zo heerlijk zomers! These are absolutely gorgeous. Simple & gorgeous. Ohh wat een leuke! Het printje is heerlijk zomers :) Ik droeg ze vroeger wel, maar krijg er sinds een aantal jaar enorme blaren van. Nu kies ik dus eigenlijk maar altijd voor leren slippers! Leeeuk zijn ze he! Ik geef dezelfde vandaag weg in een giveaway haha! u look so good in your denim jumpsuit! love how u style it!